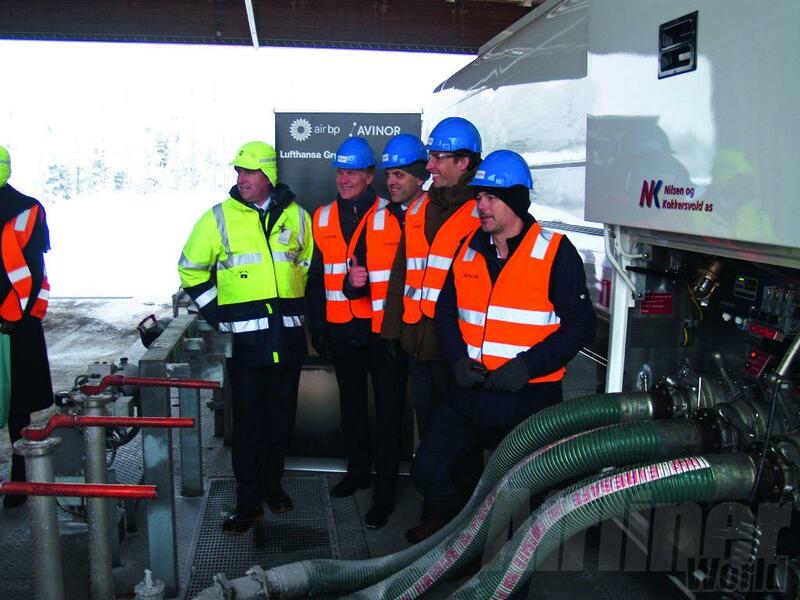 Richard Benedikz visited the ‘frozen north’ to find out how Oslo/Gardermoen Airport in Norway has integrated biofuel into its fuel delivery infrastructure. Norway has often led the way with initiatives to reduce carbon emissions. Its latest incentive – to make jet biofuel more freely available at Oslo/Gardermoen Airport – is an important step towards creating a sustainable future for aviation. The airport became the first in the world to offer airlines the option to refuel their jets with biofuel through its existing fuel farm storage facilities and hydrant mechanism, avoiding the high logistics costs and long delays of a dedicated refuelling system. Previously, biofuel had to be delivered by a fuel truck. The project was launched by Air BP in co-operation with Norwegian airport operator Avinor and biofuel supplier SkyNRG, which has agreed to provide a minimum of 274,962 imp gal (1.25 million lit) of jet biofuel; its long-term strategy is to increase the volume over the next several years. 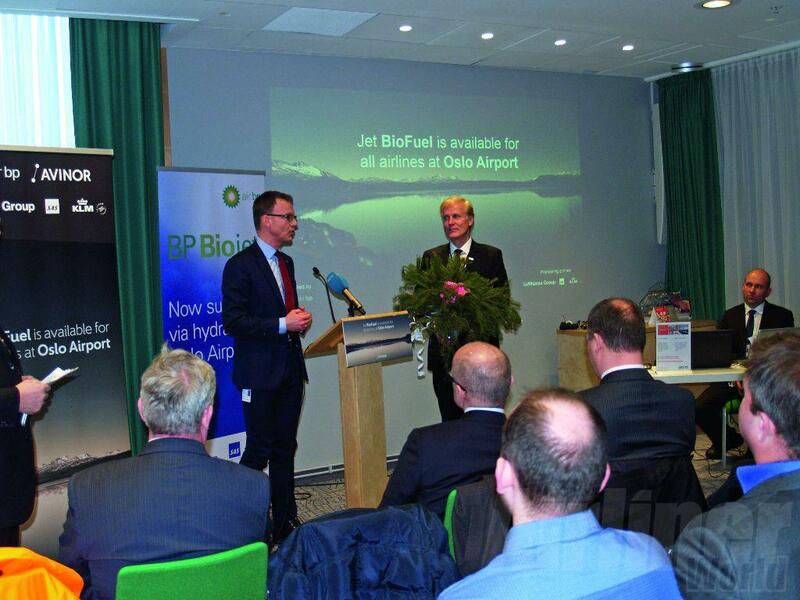 Air BP has committed to deliver a minimum of 1.25 million lit of jet biofuel to Oslo Airport. Germany-based Lufthansa Group was the first customer to confirm it will purchase biofuel at Gardermoen and the first to use the new service when it refuelled an Airbus A320 there on January 22. SAS Scandinavian Airlines and KLM Royal Dutch Airlines have also committed to take up biofuel at the airport. The biofuel is produced from Camelina oilseed in Spain and supplied by Camelina Company España (CCE). The plant is native to Northern Europe and Central Asia and can be grown in semi-arid regions as a rotational crop with traditional cereal, or where other oilseed crops are not viable and do not compete with food crops. The feedstock is transported to biofuel specialist Neste for conversion into biofuel at its oil refinery in Porvoo in Finland. 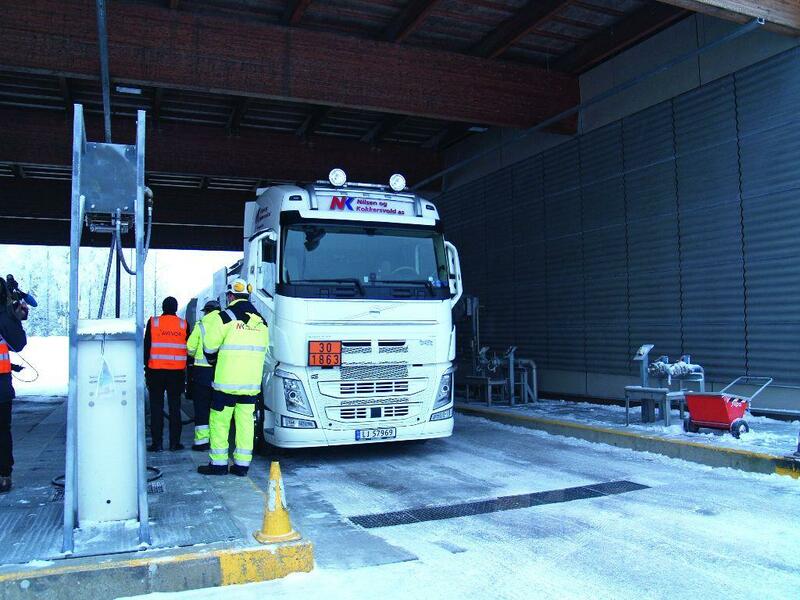 It’s then blended with conventional Jet A-1 fuel in Sweden – with a ratio of 48% biofuel to 52% Jet A-1 fossil fuel, which meets ASTM D1655/DEFSTAN 91-91 specifications for aviation turbine fuel – before being transported by road to Oslo Airport. The first batch was delivered on December 30. The new fuel is produced under the Initiative Towards sustAinable Kerosene for Aviation (ITAKA) framework – a collaborative project for the development and use of sustainable biofuel in Europe funded by the EU’s Seventh Framework Programme, a research and development initiative. Several projects have been launched to extract biofuel from sources such as algae, Camelina or waste oils to produce jet biofuel. But with recent oil prices at a record low, the product is currently four times more expensive than conventional Jet A-1, and the project is part of a longer-term strategy – with Air BP anticipating increased demand from other airlines. The initiative is in line with industry targets set by the International Air Transport Association to achieve carbon-neutral growth by 2020 and a 50% reduction in carbon emissions by 2050. Meanwhile, the EU has set a goal for 3.5% of total fuel consumption in aviation to consist of jet biofuel by 2020. 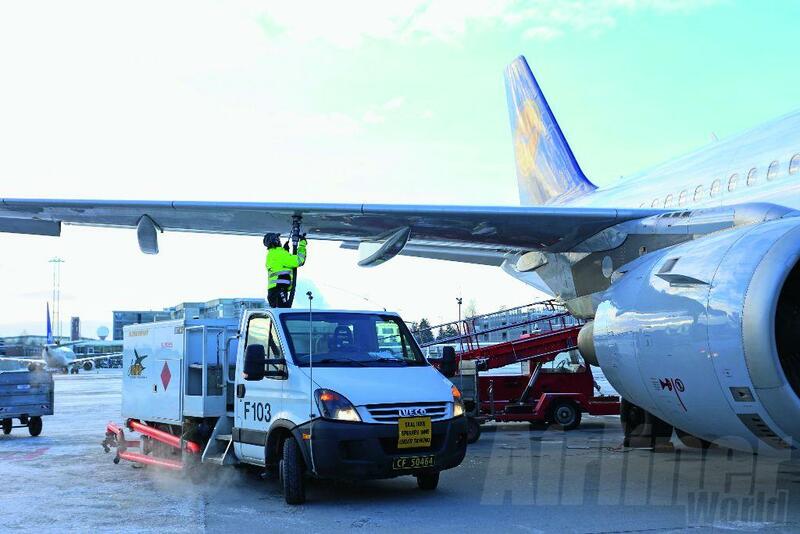 The new delivery system was activated on January 22, making Oslo/Gardermoen the world’s first international airport to have regular deliveries of jet biofuel. The Norwegian Government has launched tax incentives to encourage airlines to take up biofuel, offering lower CO2 taxes on domestic flights – and its budget for 2016 proposes that flights using 25% of jet biofuel should receive a 25% reduction in airport landing fees. Biofuel is also exempt from the EU quota system, which specifies the number of tonnes of greenhouse gas companies emit. Avinor CEO Dag Falk-Peterson explained: “With the recent Paris agreement [on climate change] signed and the airline industry’s ongoing commitment to protecting the environment, we’re delighted to be the first airport in the world to [enable carriers to refuel with biofuel] from our existing fuel farm and hydrant dispenser system. Avinor’s long-term goal is to set up a supply chain using by-products from the Norwegian forest industry to establish large-scale production of aviation biofuels. It has allocated up to NOK 100m (€10m) over a ten-year period up to 2022 to fund initiatives and projects for the country’s biofuel production and hopes to begin production between 2020 and 2025. Avionor CEO, Dag Falk-Petersen (right) is presented with a branch from a Norway pine.